Jose Mourinho has extended his contract with Manchester United until at least 2020, the club announced on Thursday. Recent reports had suggested the manager was close to signing a fresh deal at Old Trafford, as he nears the end of his second season in charge. And the news was made official as the club confirmed an extension that will keep him at the club for at least two more years. “Jose Mourinho has signed an extension to his contract at Manchester United in a move that sees him commit his future to the Old Trafford club until at least 2020, with an option for a further year,” United signalled on the club’s official website. 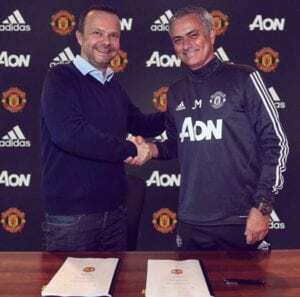 The former Inter, Real Madrid and Chelsea boss has never managed the same club for more than three consecutive seasons, but Man United director Ed Woodward praised his commitment to the institution and stated his belief that he would remain in charge for years to come.